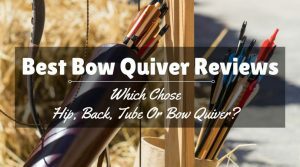 Four Types Of Bows For Hunting: Which Do You Choose? 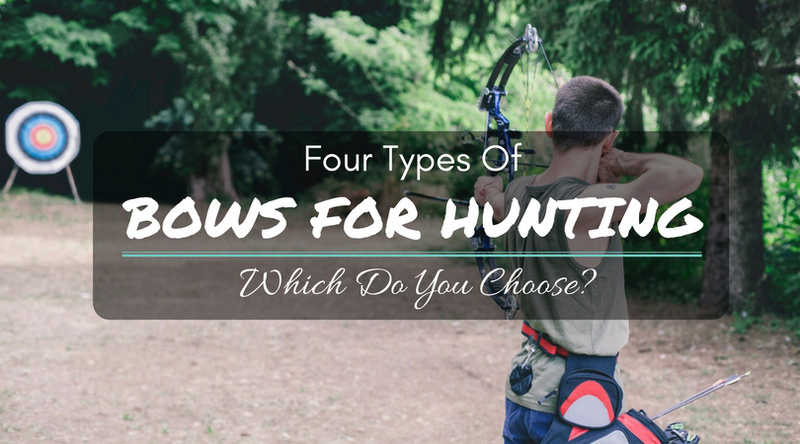 →Four Types Of Bows For Hunting: Which Do You Choose? If you love spending time in the woods, there are several activities available to you. Hiking and camping are two of them, but many people who enjoy being out in nature also enjoy reaping the benefits of it. Nature provides so much to us and one of the ways to enjoy it is to hunt for food. There are a few ways to hunt for food, one is with a gun and the other is with a bow. The quieter of the two, bow hunting is a skill that is worth learning and people who do it on a regular basis find it very rewarding both physically and mentally. There are four different types of bows that can be used for hunting. They all offer their own sets of challenges and rewards. Some can be made from basic tools and resources. There are also bows that are made with precision engineering to be highly accurate weapons for survival. When it comes to hunting, no one bow is better than the other. But, they provide very different experiences. While many people usually use this type of bow for target practice and competitive shooting, the recurve bow can be used for hunting. Most people will recognize this type of bow from The Hunger Games. Olympic archers also use this bow in their competitions as it is the only one allowed. These bows have been used for hundreds of years and continue to be popular today. These bows are usually made of fiberglass, wood, or wood laminates. The recurve bow is a simple bow made a pair of limbs that join together at the riser. The string attaches to the limbs. The riser usually has a sight and arrow rest. The bow is easy to use, especially for beginners who may not have strength to accurately shoot the other types of bows. This bow can fire an arrow rather far due to the physics of it. The unique design of the recurve bow include the end of the limbs with their forward curl. Interestingly, the curled ends add to the power of the bow and they allow the bow to be shorter than the traditional longbow. When the bow is drawn, the limbs arch away from the user which helps the bow deliver more energy to the arrow. The size and structure of this bow make it useful for hunters who shoot from dense brush or from the back of a horse. What makes this bow different from other types is what it does not have. The other types of bows have several accessories that can be added, but with a recurve bow, what you see is what you get. If you decide to hunt for deer or other game with a recurve bow, you are on your own, as in your own sighting, strength, and aiming. These bows are very popular with hunters because they are quiet to shoot, simple in design, and easy to use. The downside to a recurve bow is that there is little to no adjustability. The draw weight cannot be changed because the bow cannot be altered. This is a bow that has several moving parts, which is where it gets its name. Despite the moving parts, hunters love using this type of bow for hunting because it has quick and effective. Along with the recurve bow, the compound bow is also used in archery competitions, but it is not used in the Olympics. 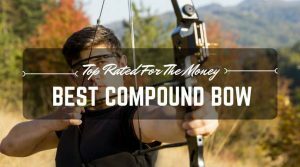 The compound bow has been around for a few decades and will continue to be around because it is so fun to use. 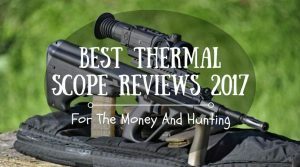 It has cables, pulleys, and a levering system to make the shot fire quickly and accurately. However, it can be challenging to shoot because it takes strength to draw the arrow back. It also requires strength to aim the bow prior to shooting. And, since the bow has several moving parts, it does require maintenance to keep them all working together smoothly. But, with a compound bow, hunters can take down white tail deer and animals that are bigger. This is not the case with a recurve bow - which can only take down deer or smaller animals, and only if the archer is strong enough to do it. Fortunately, with a compound bow, the archer can set the bow with customized draw weights. This versatility allows hunters of all strengths to use a compound bow effectively. The bows also come in different sizes, which can affect the draw weight. 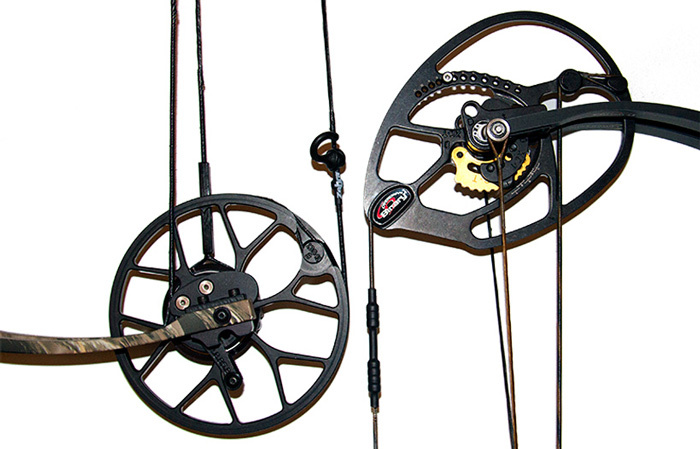 It is helpful to purchase a compound bow from a knowledgeable outfitter. A compound bow is usually made of lightweight materials like aluminum or fiberglass. Some are made of carbon composites, too. The pulley system is usually referred to as a cam, which reduces the amount of force required to draw the arrow. Because of the cams, it is easier to draw the arrow and hold it the drawn position for a long time prior to shooting. 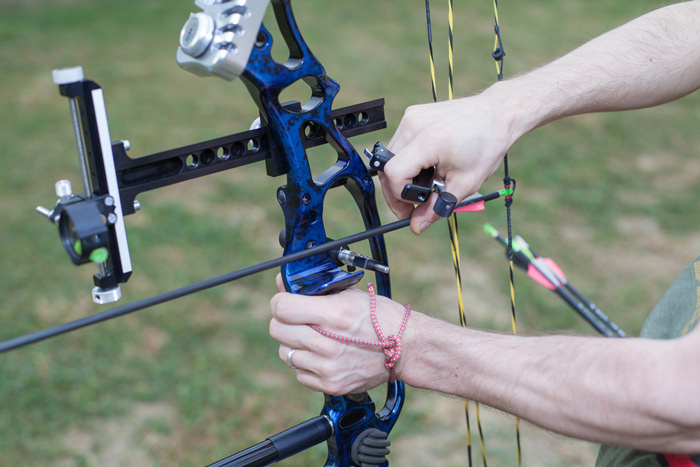 Another benefit of the compound bow is the way that accessories can be added. 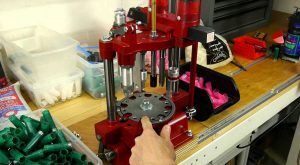 One of the more popular options is to add sight pins. These allow the archer to aim for various distances, often measured at yards. 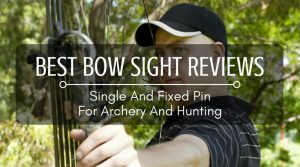 With the sight pins, the archer can also figure out quickly how much draw is needed to reach a target at 30 yards or 10 yards. If you want a real challenge when it comes to bow hunting, the traditional bow will deliver it. Some people call this bow a longbow or a straight bow and they have been used for ﻿﻿th﻿﻿ousands of years. This is the basic bow that is two simple pieces - a string and the bow itself. 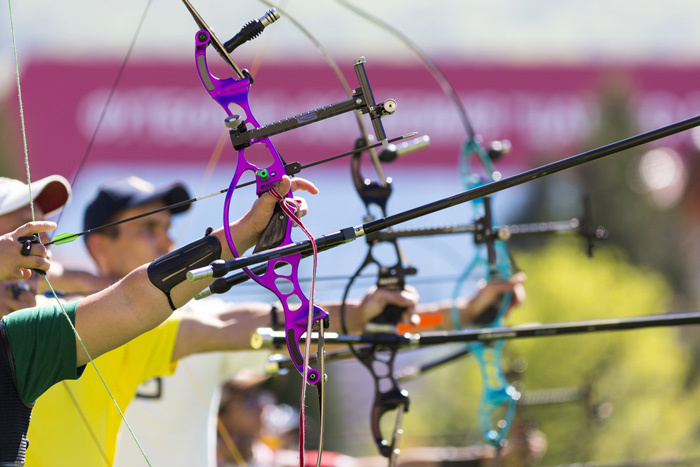 Like the other two bows, the traditional bow is often used in archery competitions. And, traditionalists will also use them to hunt for animals, but not large animals. This type of bow can be made at home and it can be purchased through outfitters. It does take work to master because archers are truly on their own without the assistance of any accessories that help with aiming, drawing, and firing. There are not any sights or rests for the arrows. Despite the challenges of aiming, the bow is actually rather easy to draw. If you do plan to hunt with it, the bow will need a heavier draw weight which could limit usage to archers who have the strength to draw it. Today’s long bows are made from either wood or fiberglass composites. Using one is practically artistic. When drawing a long bow, the arch of the bow curves toward the archer as the arrow is held between the fingers on the bow. 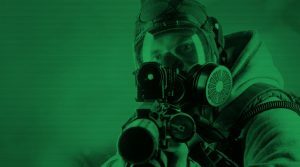 They do take practice to learn to use, but once you learn to use one, you never forget. The challenge with the long bow is that draw weight compounds as string is pulled back. This makes it hard on the muscles. When the string is released, the bow can have a bit of a kick to it and it can hurt. Because of the challenge, there is a real reward that comes with successfully shooting a classic longbow. A crossbow is quite different from the other types of bows in this list. This bow is more like a firearm than the other bows. 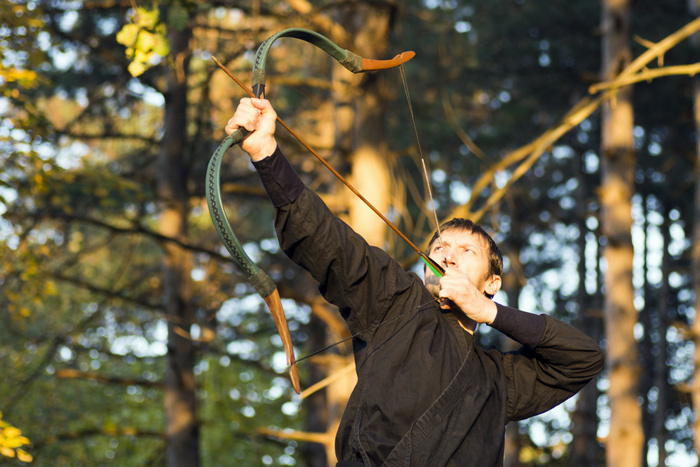 However, it can also be used in archery competitions like the others on this list. What makes the crossbow different from the compound, traditional, and recurve bows is that it has a trigger that must be fired to release the string and the arrow (which is called a bolt on a crossbow). 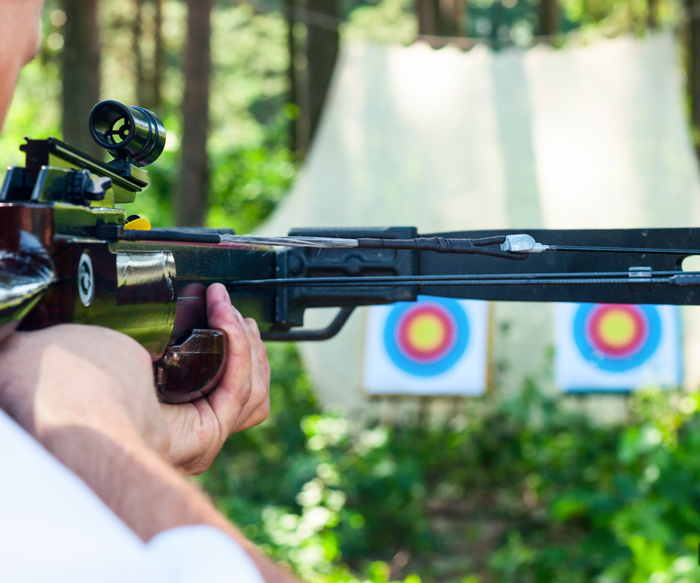 Because it does not require the same type of shooting, crossbows are actually the easiest types of bows to shoot. 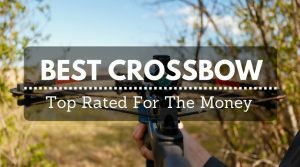 People love to hunt with crossbows because they are the most accurate. Crossbows are also loved because they are quiet, so animals in the wild have no idea what is coming at them. They can be fired accurately at long distances, so it is easier to take down a white tail without spooking it. Crossbows are also rather small and lightweight. Instead of a tall bow with limbs, risers, and strings, the crossbow has a barrel, stock, trigger, and stirrup. The crossbow does have limbs, but they are much smaller than the ones on a compound, recurve, or traditional bow. Like the compound bow, the crossbow can have accessories added to help with aiming, drawing, and firing. When you are ready to choose a bow, it is helpful to know exactly what you want. 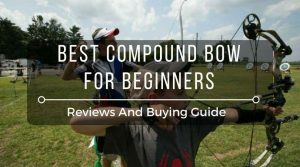 A beginner would benefit from using a compound bow or a crossbow. But, if you are up for a physical challenge, the longbow or recurve bow are a better option. No matter what type of bow you choose, hunting with a bow is a rewarding activity that brings you closer to nature and to the food that you want to eat.